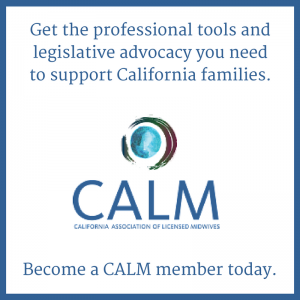 CALM membership means you have the professional tools and legislative advocacy you need to support California families. The overwhelming majority of CALM members surveyed tell us that these benefits are an excellent value. CALM memberships are currently managed by the California Association of Midwives (CAM) website. Click below to be redirected to CALM membership information. Benefits designed to meet your needs, whether you are a new, seasoned, retired, or student midwife. 95% of CALM members surveyed said they would recommend membership to other CA midwives. CALM licensed midwives are licensed midwives in good standing with the Midwifery Board of California. CALM newly licensed midwives are midwives who have newly received their license within the last two years. CALM associate members are professionally licensed out of hospital care providers, including CNMs, MDs, and PAs. CALM student midwives are students attending an accredited midwifery school. CALM retired midwives are those who have retired from practice. The California Association of Midwives Foundation (CAM) recognizes the contribution that midwives of color make to the improvement on infant mortality rates, prematurity rates, breastfeeding rates, and maternal mental health for families with the highest disparities in birth outcomes. 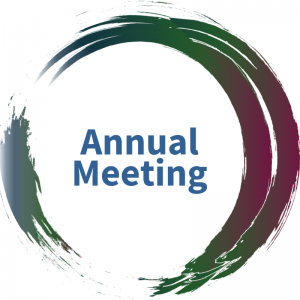 CAM sponsors honorary memberships to the California Association of Licensed Midwives (CALM) for California licensed midwives and student midwives of color. To receive an honorary membership, contact membership@californiamidwives.org.